Shots rang out. Eight total. People screamed; panic ensued. The basketball court emptied. The swings were still. Mothers disappeared with strollers behind parked cars for protection. Without hesitation, our children responded to the voice of their after-school director and sprinted towards the UrbanPromise bus for safety. By now most of the kids were sobbing, some hysterical. Even growing up in a city plagued with violence doesn’t prepare you for a drive-by shooting. A few seconds—an eternity—of silence passed. Albert savored the sacred moment, realizing that his role was more than just a camp counselor. 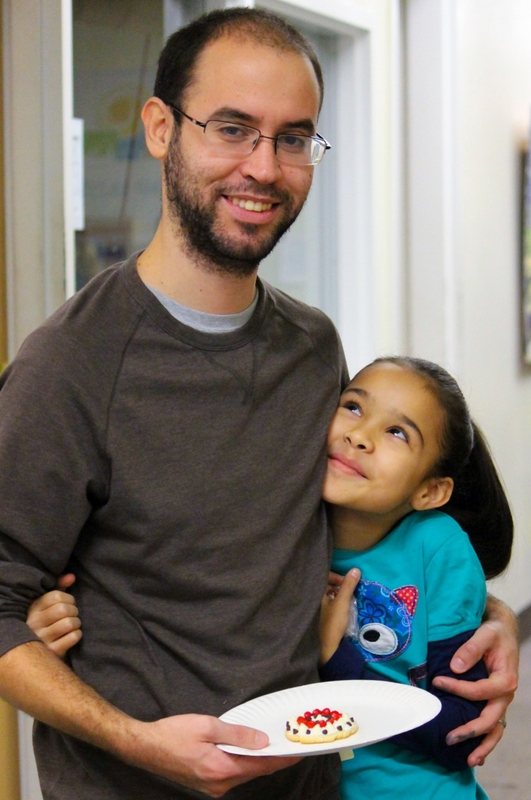 In the midst of a chaotic community moment, his presence, consistency, commitment, and compassion gave a 9-year-old girl a sense of security and safety. It’s hard for me to hear stories like this, especially during the Christmas season. Why must innocent, beautiful children endure such terror? Why must Albert—a father, husband, loyal colleague, amazing mentor—risk his life and mental health every day he works for UrbanPromise? No easy answers. One answer is to just quit. Throw up our arms, surrender, shut down our programs, concede the challenges are too great, and walk away. But then we remember Tabitha and the children who need comforting—who will stand with them? Who will fight for their security, dignity, and safety? Who will offer them peace in the midst of the chaos? We’ve come too far to give up! Christ calls us to stay. That’s why I’m asking you this Christmas to help UrbanPromise continue to be a haven for our children, to provide them with a day, a week, or a month of PEACE! 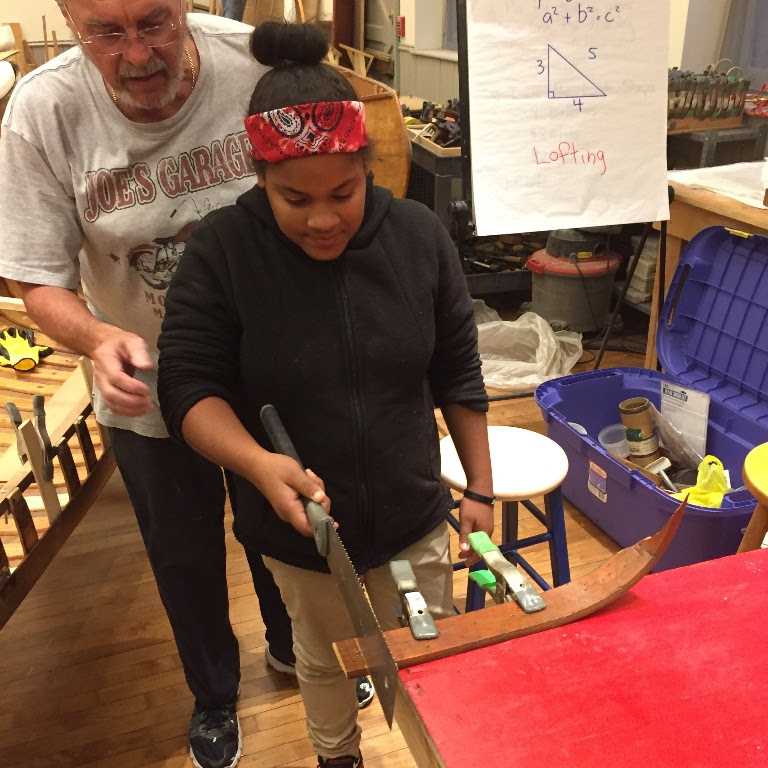 I need your help to underwrite the cost of providing neighborhood-based after-school programs throughout the city of Camden. Our programs are staffed with incredible urban missionaries like Albert. 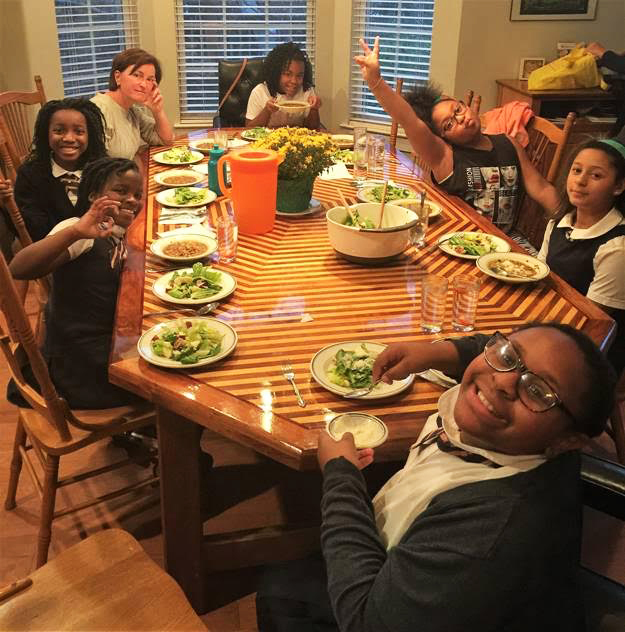 We provide healthy snacks, help with homework, and dinner most nights before taking our youth home. We partner with families to provide safe, fun, educational, and loving spaces full of God’s peace for hundreds of children. It’s an amazing thing to be able to do, to buy a child PEACE. Auburn Sandstrom lay in a clump on her apartment floor, clutching a tattered piece of paper. Auburn knew she'd hit bottom. It was 2 am, it was 1994. The only reason Auburn wasn't out hustling drugs on the cold Ann Arbor streets, was the two –year-old baby sleeping in the next room. Despite the fog of her addiction, and the chaos of her life, she still had some semblance of maternal responsibility. Auburn didn't grow up a drug addict. As a teen, she attended an elite private school, studied abroad in college, took opera lessons, and earned a Master's degree. Then she'd met the wrong guy, lost her bearings, and became hooked on drugs. "If you're ever desperate and need some advice," urged her mother three years earlier, "call this Christian counselor." Placing the paper in her hand, it was the last time they talked. On this night, she dialed the number. "Hello?" responded the surprised voice on the end of the line. "How...how...can I help you?" For the next three hours Auburn unloaded her story to this anonymous listener--her idyllic childhood, a destructive relationship, the drugs, the unplanned pregnancy. You have any Bible verses you want me to memorize?" asked the still-skeptical Auburn, noticing the early morning sun coming through the blinds. "I mean, you are a Christian counselor aren't you?" "I'm....I'm not, actually a Christian counselor. You must have dialed the wrong number." Auburn sat stunned in a moment of sobriety. Another person had given up his time and sleep....for her. A stranger. At that moment I realized there were random bits of LOVE in the universe and some of it was meant for me," she confessed later. "At the darkest and most despairing moment of my life, all I needed was a pinhole of light and all the grace in the world could pour through." Auburn's life dramatically changed direction that night. She walked away from a destructive relationship, worked on being sober, and became an attentive mother. Last year her son graduated from Princeton University. How we respond to the serendipitous events and encounters of our lives can have eternal implications. Every random human interaction is an opportunity to remind others that they are not alone in this vacuous universe. 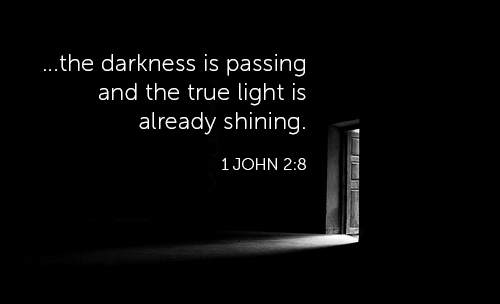 Christmas reminds us that LOVE exists and pinholes of light wait for us all. God may just need you and me to be the ones who deliver. Our girls had an addition to the menu. Earlier in the semester, we had picked two spaghetti squash from the UrbanPromise garden and saved it for this week’s lesson. The girls scooped out the seeds and rubbed it with olive oil for roasting. 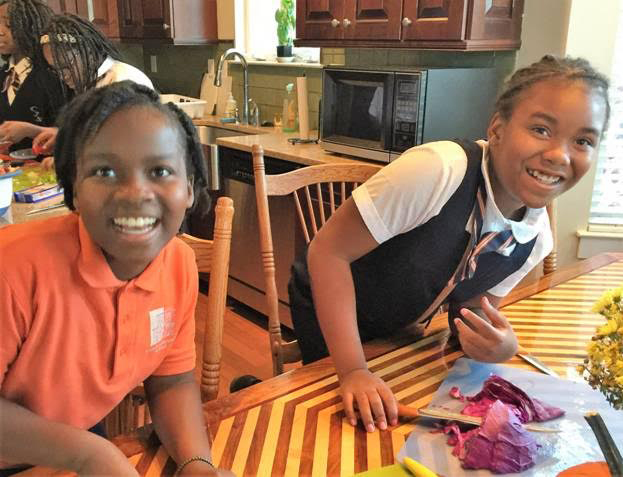 “It just looks like yellow squash to me,” said Malaysia Williams, and 30 minutes later, she and her kitchenmates were surprised to see the strands that we scooped out of the halved squash. Seasoned with salt and pepper and tossed with olive oil and some grated cheese, every one tasted it, but no one was overly enthusiastic. “It is just okay,” said Cianni. We learn to become more empathetic when we slow down, become present, and are fully committed to understanding another person’s uniqueness. Laughter and verbose conversation filled the room. Hearing an elderly woman next to me took some effort. I leaned in closer. Her vulnerability surprised me, especially since we had only met a few minutes earlier. My simple question: “How are you doing?” turned into a confessional about the last year of her husband’s life—a difficult, slow death from Parkinson’s Disease. I hoisted a fork full of vegetable medley to my lips. I chewed quietly and listened. My regret-filled friend did all the right things for her dying husband. Her one regret—not being emotionally and spiritually present for him. 1. What are the major distractions in your life keeping you from being fully attentive and present? 2. 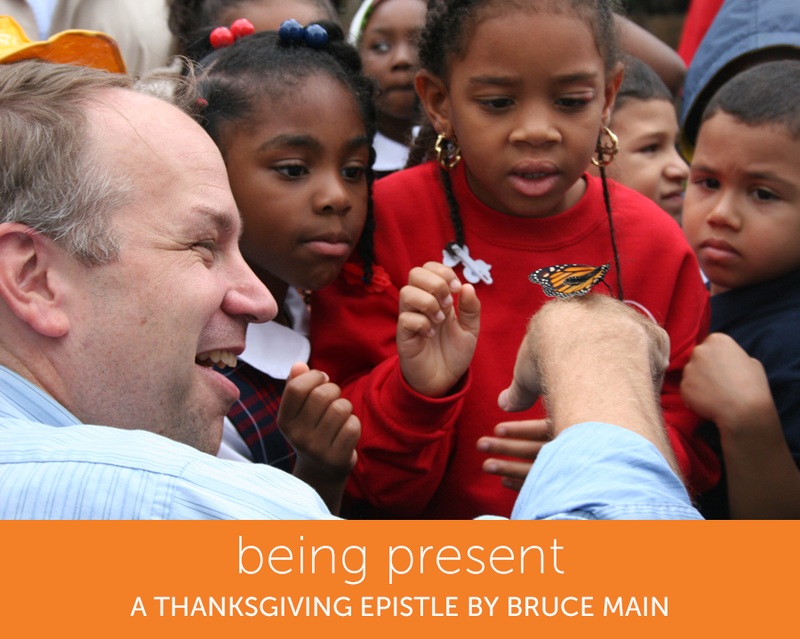 What are some things you can do to help focus on what’s really important during this season? Soup and salad were on the menu, lots of vegetables and apples to chop and even more opinions on soup and salad to share. 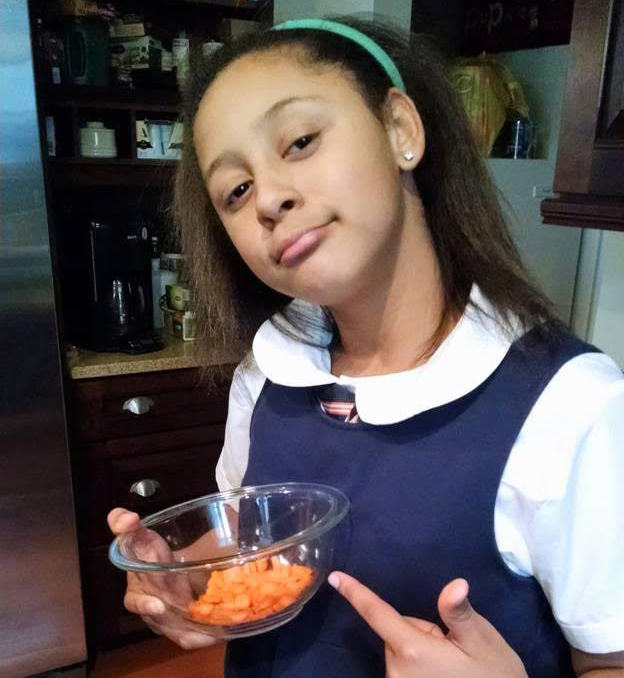 “I do NOT like chick peas!” announced Nailah Lipscomb emphatically, while she and the other junior chefs were chopping carrots, onions and celery to get the soup simmering. The soup recipe allowed us to talk about the building blocks of adding flavor to food. “First Mise en Place and now Mirepoix? When will these French words stop?” asked Cianni Green, but all the girls could admire the nice, small even pieces of vegetables they created and the great aroma that was soon coming from the stock pot. While the soup simmered we made the Waldorf salad together, taking turns to stir the soup and add the seasonings, tomatoes and dreaded chick peas to the pot. When we sat down to eat, the girls admired the meal. “I watch all the cooking shows and you have to have texture, this has texture” said Sobechi Igweatu. “Smooth hot soup and a cool crunchy salad!” said Nailah, who carefully removed each and every chick pea from her soup before eating it. Some girls liked the soup more than the salad and others preferred the salad. Eventually Nailah tasted the chick peas. “Actually these are not bad,” she said, popping a few more in her mouth. 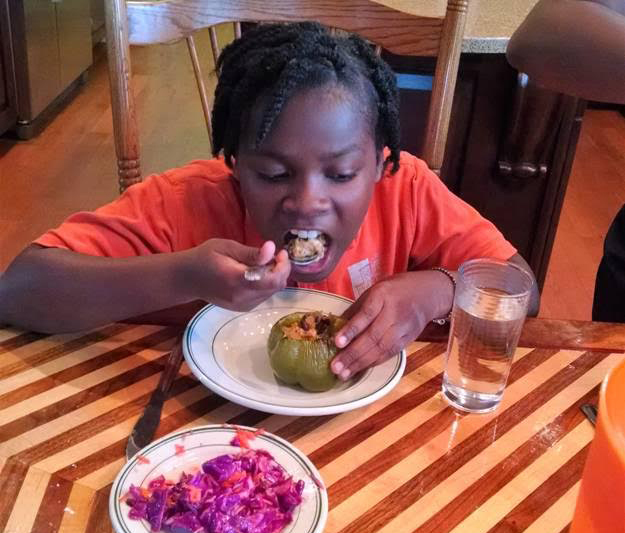 This week’s stuffed peppers and cabbage slaw recipes gave everyone a chance to chop, dice, slice, and demonstrate their confidence and dexterity. In our class we decided to chop up the tops of peppers and add them to the ground turkey mixture instead of sending them to the compost. 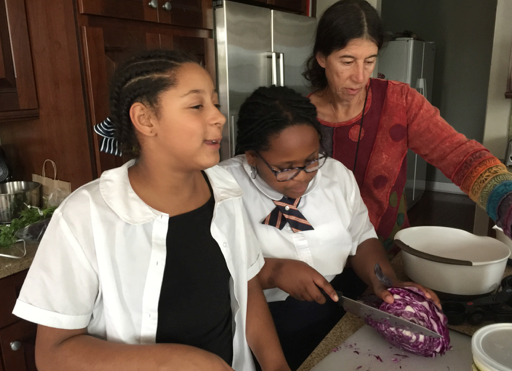 Each of our junior chefs took a turn at the stove sautéing the onions and peppers, adding the turkey and seasonings until the kitchen was aromatic. “You have to cook with onions,” said Cianni Green. “They make everything taste and smell so good!” Brazil Taylor had the last turn, adding the beans and cilantro to the skillet. “Here come the Mexican jumping beans!” she joked. The cabbage slaw gave us the chance to talk about “whisking” and emulsifying” and a quick taste of the dressing confirmed that it was almost “creamy” as a result. Our junior chefs sat down to write predictions for the day’s meal and how it would taste, trying to find new and creative ways to describe the stuffed peppers. Our buses need your help! This month I'm asking you to consider helping a bus! That's right: a bus. 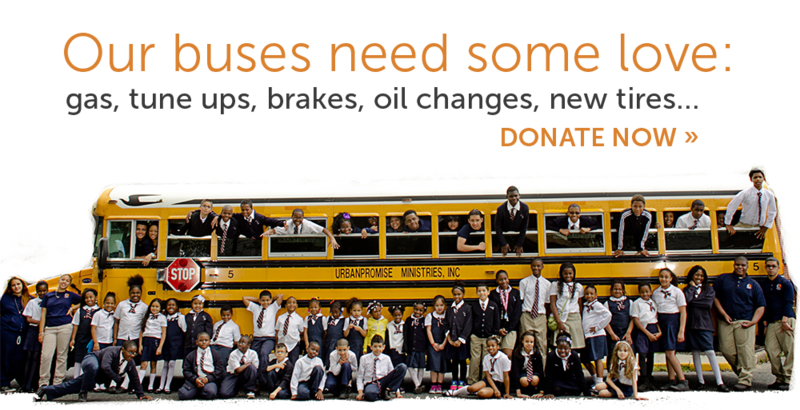 Buses are a critical component in UrbanPromise's ability to serve hundreds of youth each day! Our AfterSchool Programs require buses to pick up our youth from neighborhood schools, drive them to our programs, and then bring every child home each evening. Our schools use buses for field trips and for weekly trips to our community Kroc Center for physical education classes. We use them to take our teens on college visits throughout the year. 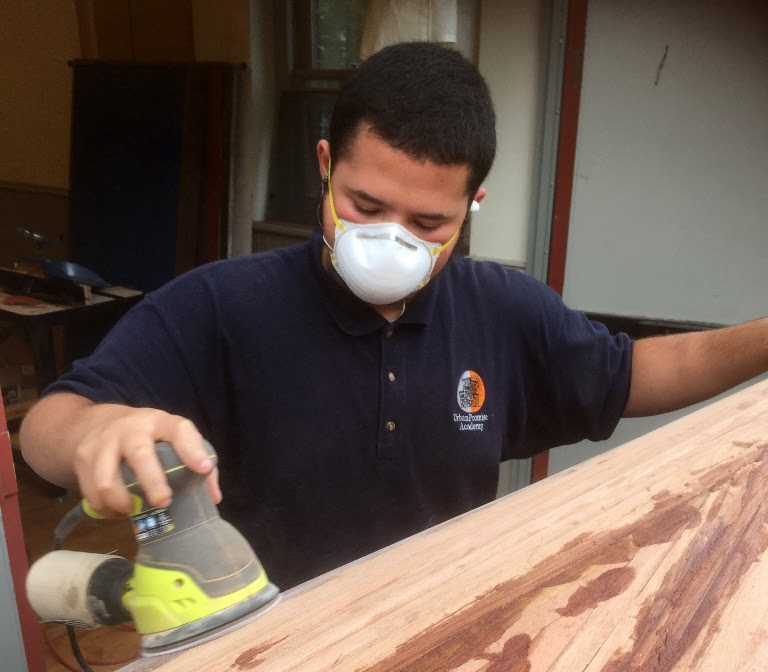 Our buses take kids places they might otherwise never go: swimming, camping, museums, the beach...Buses are essential to UrbanPromise’s ability to provide developmental and experiential opportunities for Camden youth. UrbanPromise currently owns a fleet of 8 retired school buses to accommodate the 700 youth who participate in our programs. These vehicles are on the road 6 days a week. They need tune-ups, gas, new tires, brake pads, fluid changes, and basic upgrades. Will you help me keep all 8 of our buses on the road this year? Thank you in advance for considering this unusual request. Thanks for passionately caring about the safety of our children and helping to grow their life experiences. 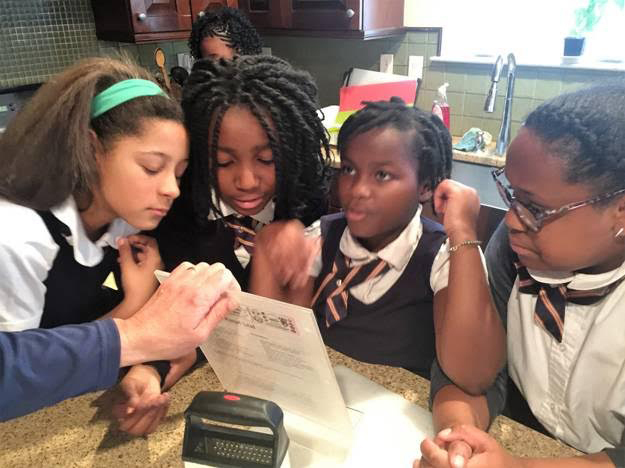 There were a few wrinkled noses as we passed around the fish for a whiff at the start of class, but the promise of fish tacos had our five junior chefs optimistic. “You know the fish tacos are going to be the best part!” predicted Cianni Green, 10. The method of baking the fish instead of frying it gave us a chance to talk about making healthy choices as we divided the girls into two teams to tackle the recipes. The colorful vegetables gave everyone a chance to work on knife skills. 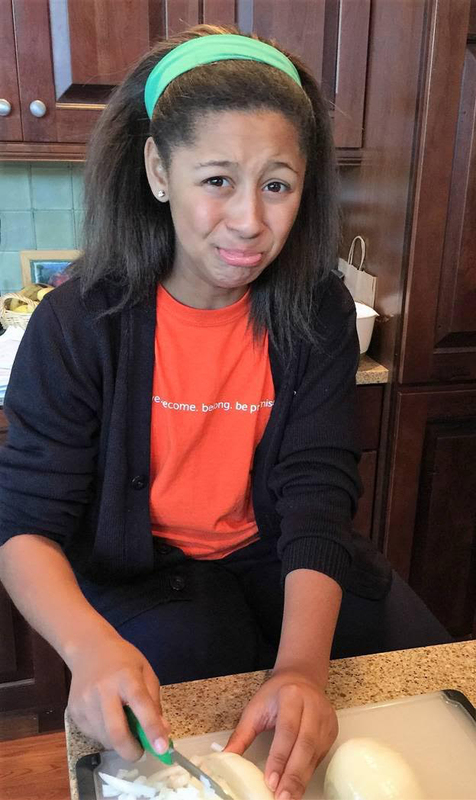 “I do not want salmonella!” said Nailah Lipscomb, 10, hurrying to the sink to wash her hands after helping bread the fish. Meanwhile the sweet potato crew got busy cutting the potatoes in even squares and deciding to move past just peeling the spots off the potatoes and peeling them completely. The cabbage girls were slightly put off by calling the cabbage red. “That is not red, it is purple!” said Sabechi Igweatu, but everyone agreed the orange of the potatoes and the purple of the cabbage made for a colorful dinner. We took a few extra moments to warm the whole wheat tortillas in a pan, before each girl began filling them with fish and cabbage slaw. A’layvia Green set out to mix up the lime mayonnaise, zesting the lime as well as squeezing the juice to add extra flavor. “We are making Key West mayonnaise!” she announced to the class, launching a conversation on the merits of tartar sauce. We have been busy. The groups are coming along very well. As we get to know the groups and the individual students, stories are bound to come out. 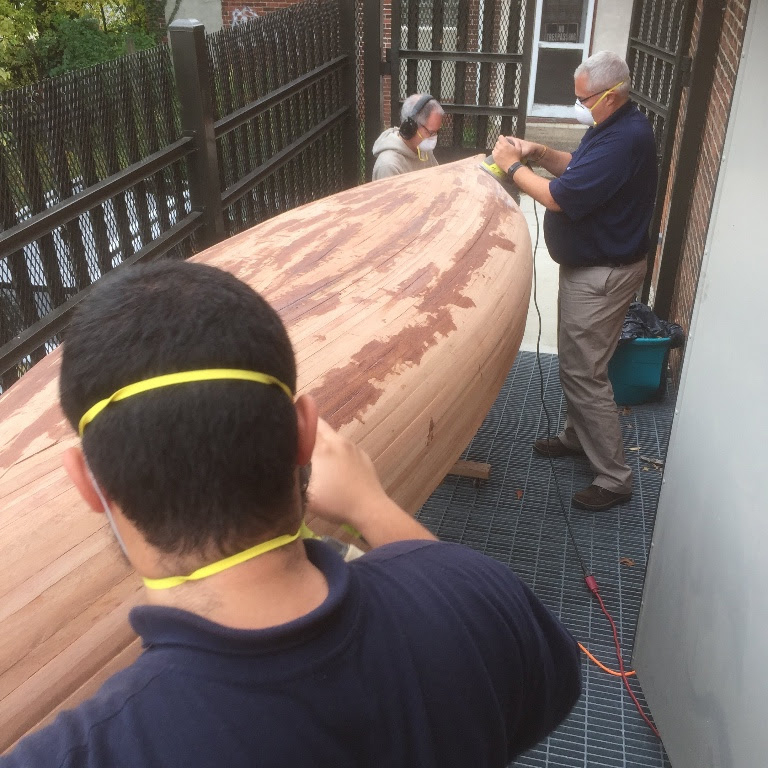 One of the students told a great story one of her first days in the shop: we were introducing the next topic of boatbuilding and Ha spoke up about her family. Ha has come to Camden from across the ocean. Back home, she remembers her granddad bringing her to school by boat. She and her family lived on one side of the river and the only local school was across, on the other side of the river. So each day, if weather allowed, her granddad would take her and her sibling across the river to school. As we kept talking, Ha told me that her granddad built the boat they used each day! So great!! So, weeks have passed and we have gotten to know Ha and her classmates more. They are a great group with lots of energy and artistic ability. We have seen some amazing pieces of art and it is coming through when it comes to boat building. Ha is very detail-orientated and accurate. So, it would seem, she has boat building in her blood.